Last edited by Prodigy Wrestling; 04-15-19 at 08:54 AM. Think it’s oretty awesome all you’re doing, Willie. SW Ohio is lucky to have you! Tuesday Night Training at Prodigy and Beavercreek! REGISTER NOW ON OUR BLUE SOMBRERO SOFTWARE! 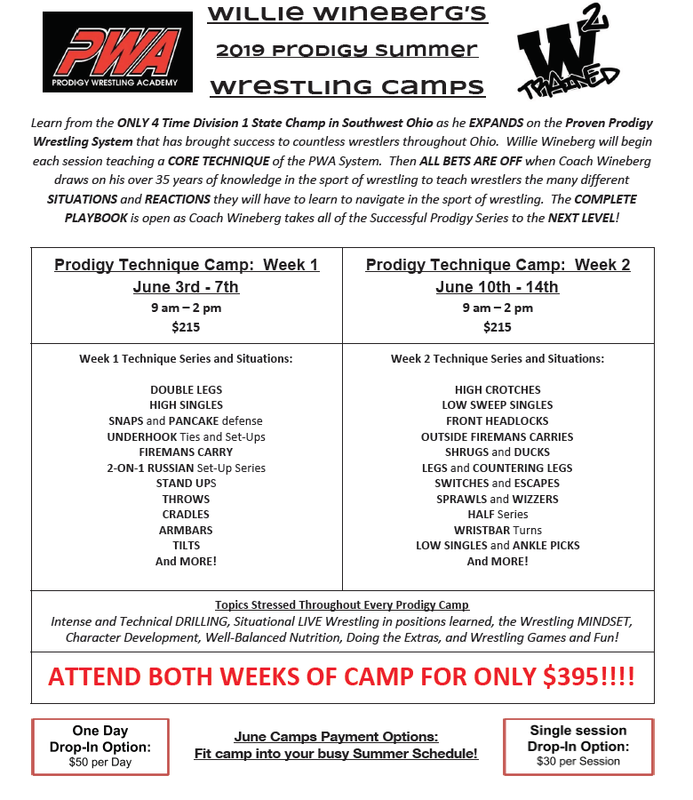 Register now for Prodigy Summer Wrestling Camps! Big week coming up at prodigy/beavercreek! AIA International Wrestlers attending Beavercreek Practice! BE CONSISTENT! KEEP SHOWING UP! Athletes in Action Wrestlers from Kazakhstan, Mongolia, Switerland - TONIGHT! TONIGHT AT PRODIGY WRESTLING TRAINING CENTER! AIA Athletes will be at the Freestyle practice from 6:30-8 pm!